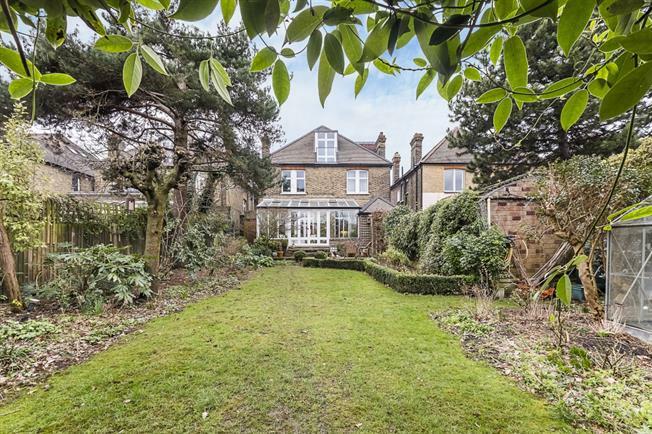 4 Bedroom Detached House To Rent in London for £6,500 per Calendar Month (Calculated). PREMIUM - This stunning detached, traditional family home is full of character, charm and warmth and benefits from driveway parking. Entering through the porch you are welcomed with an open fire within the spacious hallway leading to; formal living room, downstairs WC, kitchen with breakfast table, utility room, formal dining room with doors to conservatory and rear garden. On the first floor there are three bedrooms and a sitting room/library and family bathroom with changing colour mood lights. The top floor houses an incredible individually designed master suite with fitted wardrobes, dressing area, walk-through shower and balcony over looking the rear garden and views reaching to central London. Please call us for more information on availability and what the property includes on 02085679647. This property is featured by our Premium department.